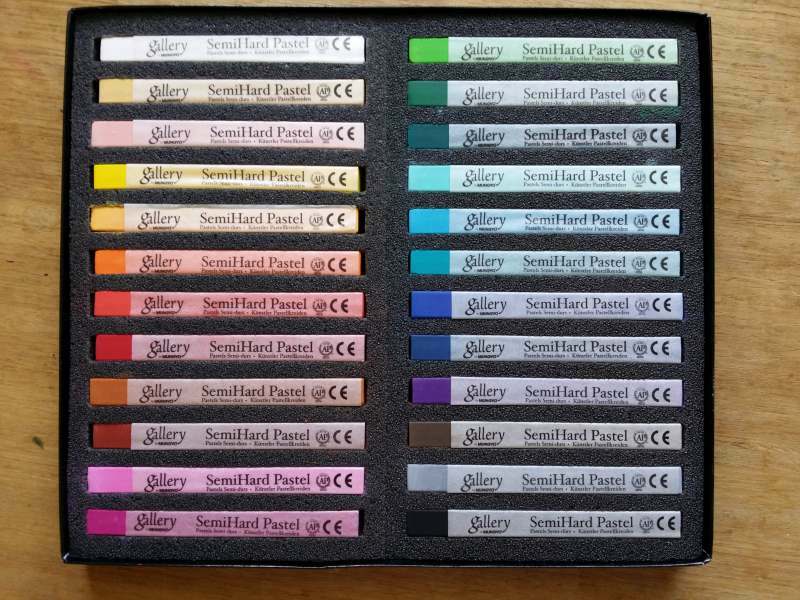 My pastels of choice are Art Spectrum Soft Pastels which are made here in Australia and they are still my favourites. 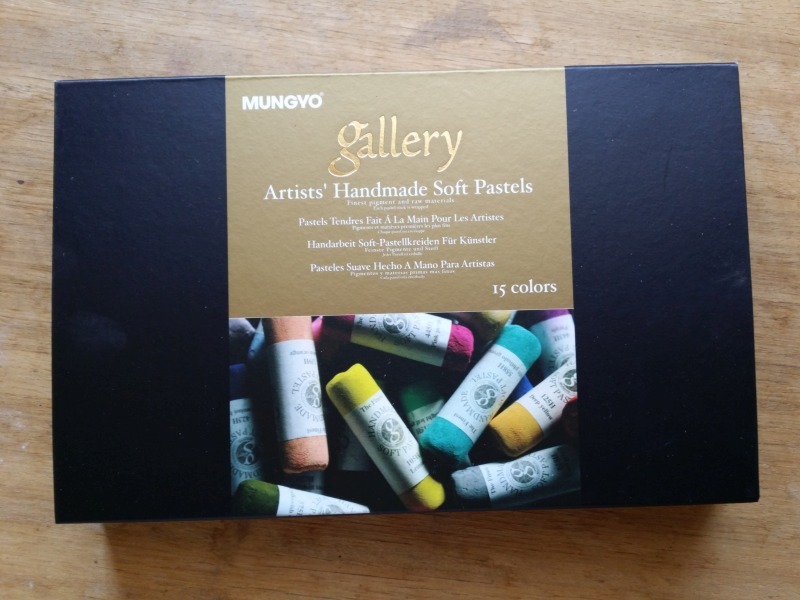 However I was recently reading some positive reviews of Mungyo Pastels which are made in South Korea. When some came up on special then I thought that I would give them a go. 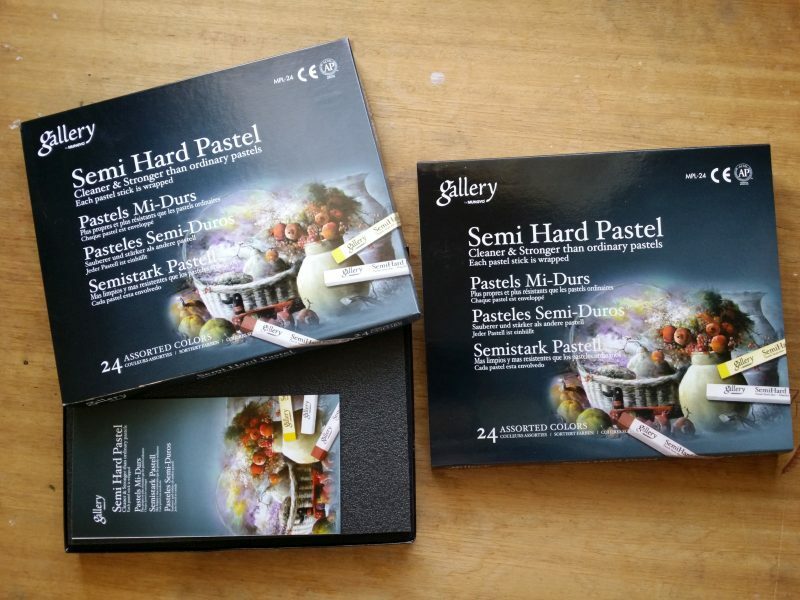 I purchased a box of 20 Gallery Semi Hard Pastels and a box of 15 Gallery Artists’ Handmade Soft Pastels. I even got free delivery. 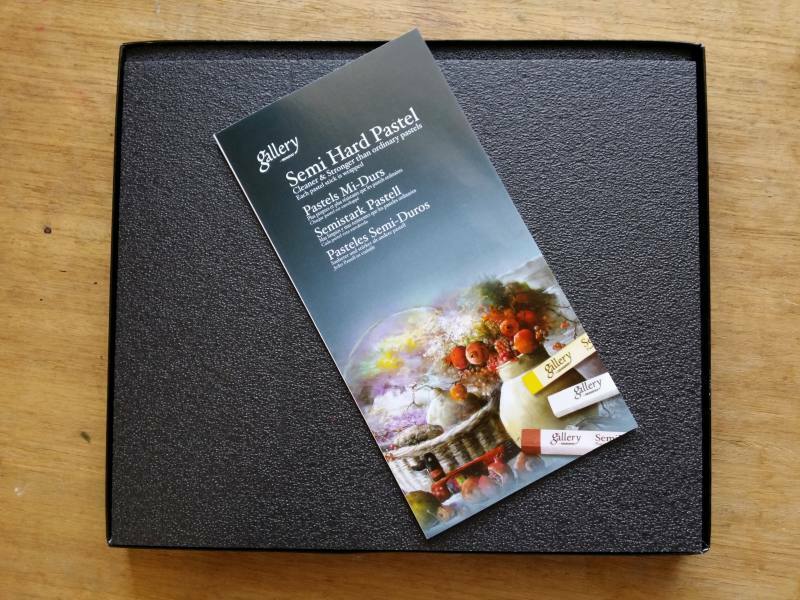 Now an important point….make sure that you only look at the Gallery range as these are the artist quality pastels. They sell much cheaper ones but the quality is obviously not going to be as good. After I’ve used them for a while I will post a proper review. At this point I just wanted to give my initial impression of them. These came very nicely packaged in a padded cardboard box. There is a nice range of colours as you can see from the pictures. At the price I paid they work out to be about AU$1.00 per stick. In use the pigment is vibrant and covers very well. The description of semi hard is apt. 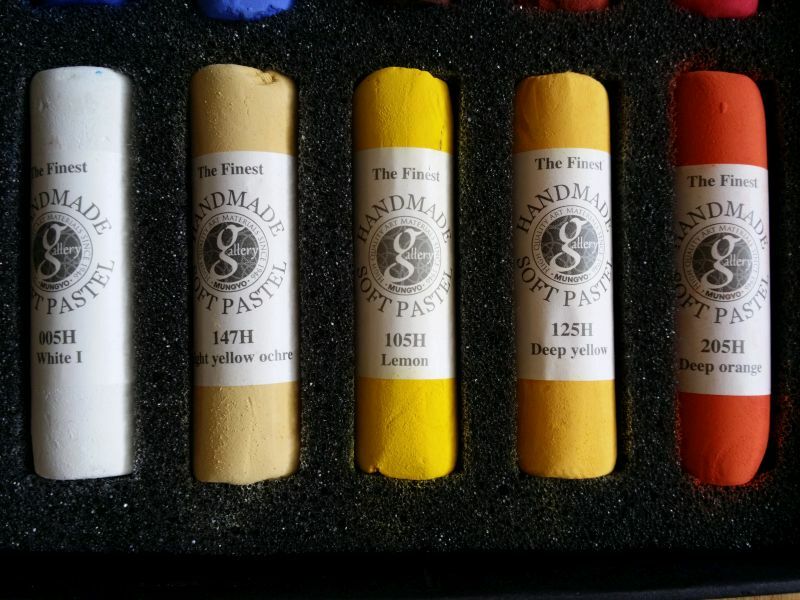 They are not as soft as a tradition soft pastels but not as hard as say a Conte stick. I really enjoyed using them. Most of the time I will use this type of pastel for blocking in and then follow up with softer pastels. 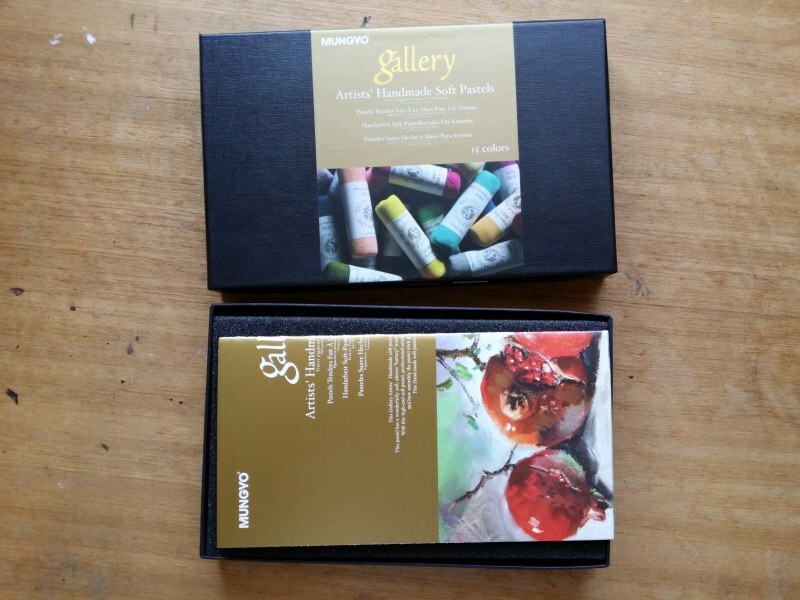 These were a bargain (around AU$2.50 per stick) as I got them on sale but you can pay as much as other major brands for them normally so they are not necessarily cheap. These too were packaged well and the whole presentation had a “luxury” type of feel. I found myself impatiently anticipating finally reaching the pastels sitting like little jewels in their padding! These are hand rolled (you can even see fingerprints on them) and are velvety soft. They are delighful to work with. 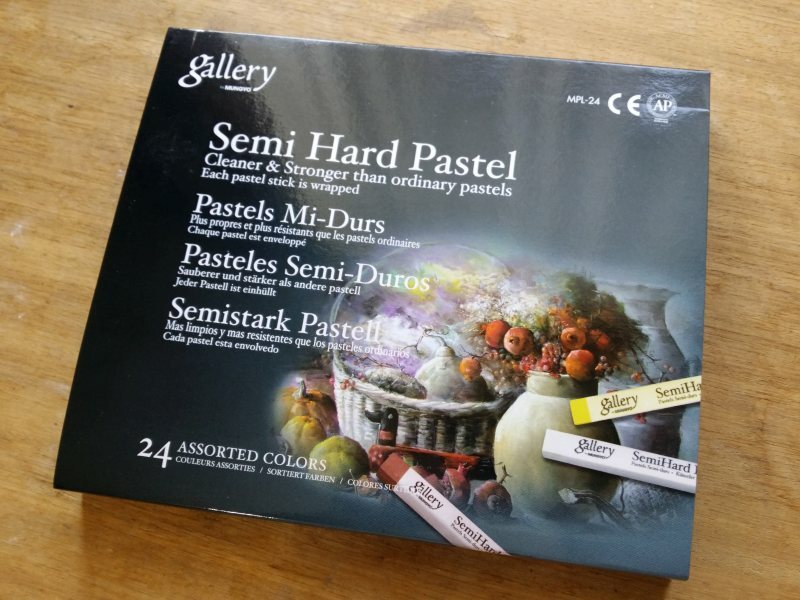 These are the type of pastel that I would reserve for those last touches and highlights on a painting. 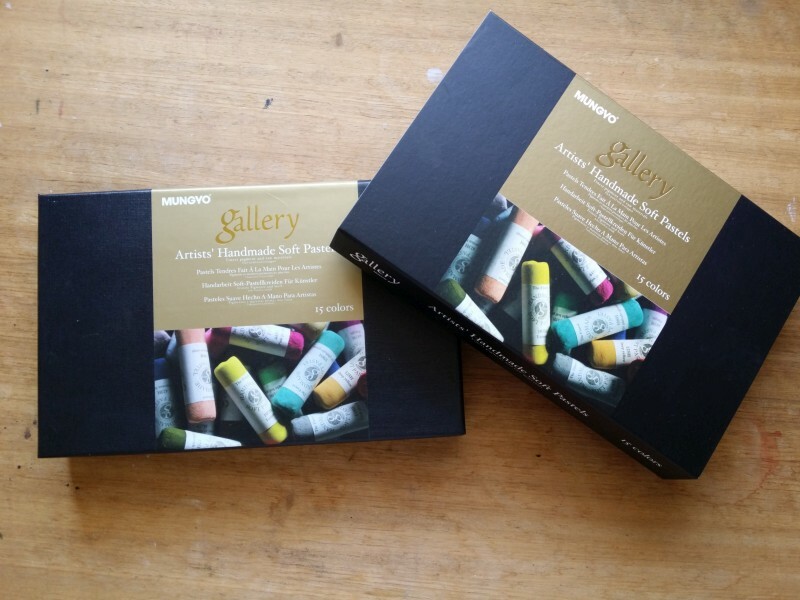 In short, I’m impressed and I will look forward to using both these sets along with my trusty set of Art Spectrum Soft Pastels. As I said, I intend to do a more detailed review when I have had a bit more experience with the Mungyo Gallery range. 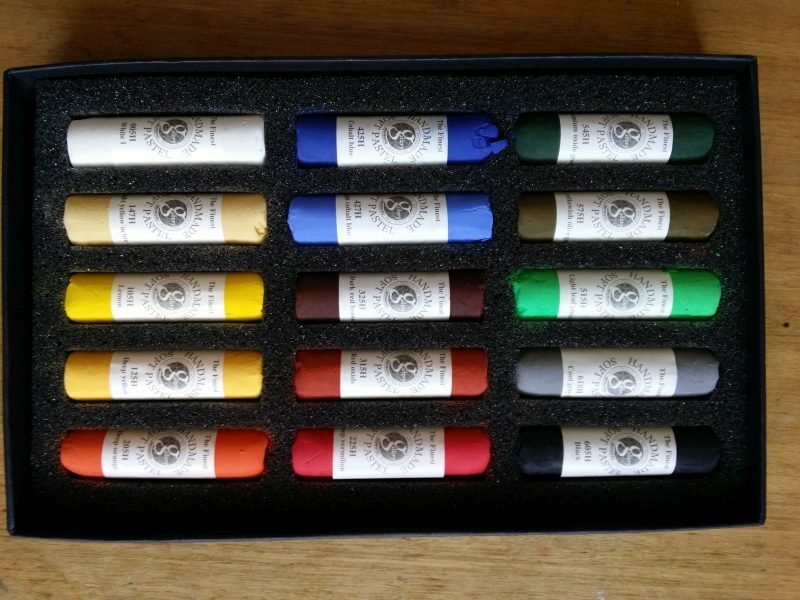 It is worth nothing that while the company say that the pigments contained in these pastels have excellent lighfast properties I could not find a great deal of specific information online. Therefore I am in the process of doing a light-fastness test so I will post an update on that at some point in the future.